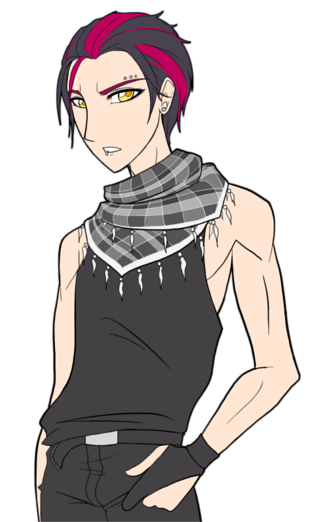 Many-layered visual novel sprite for "Ash", the scrawny tsundere bishounen from Where Ages Go. Released under CC-BY-NC; give credit, do not use for commercial work. Please link http://www.invincible.ink if you can! I store everything on separate layers, so it should be easy for intermediate artists to try different hairstyles, change colours, shift features around and so forth. Same for individual eyebrows, lashes, eyeballs, mouths etc - they're all separate so you can mix and match them for a ton of expressions. You can also remove his scarf.